If you already read some other blog post about unusual mocking, you can skip prelude via this link. I am calling these techniques unusual mocking. I was worried that such examples without any guidance can be widely used by teammates not deeply experienced in mocking frameworks. Developers practicing TDD or BDD should be aware of testability problems behind these constructs and try to avoid them when designing their tests and modules. That is the reason why you probably wouldn’t be facing such unusual mocking often on project using these great programming methodologies. But sometimes you have to extend or maintain legacy codebase that usually contains low cohesive classes. In most cases there isn’t time in current hectic agile world to make such class easy to unit test standard way. When you are trying to unit test such class you often realize that unusual mocking is needed. That is why I decided to create and share refactoring considerations alongside with examples and workarounds for unusual mocking. 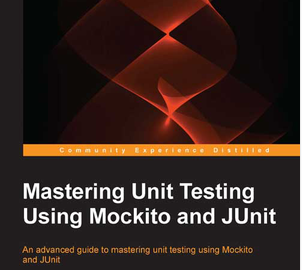 Examples are using Mockito and PowerMock mocking frameworks and TestNG unit testing framework. Change class to non-final (remove final keyword) and test it standard way. This is technique I use always when I can change code of final class. Before usage of this example, please carefully consider if it is worth to bring bytecode manipulation risks into your project. They are gathered in this blog post. In my opinion it should be used only in very rare and non-avoidable cases. No mocking – In theory, static methods should be used only in small utility classes. Their functionality should be simple enough. So there shouldn’t be need to mock static method. Converting into Spring/EJB bean – If the functionality in static method isn’t simple enough and mocking is needed, consider converting class into Spring/EJB singleton bean. Such bean can be injected into testing class. This is easily mockable by plain Mockito functionality (see this blog post). This is my preferred technique when I need to mock static method. I believe that minor exposing of internal implementation in flavor to enhance testability of testing module is much lower risk for project than fall into bytecode manipulation mocking framework like PowerMock or JMockIt. Change method to non-final (remove final keyword) and test it standard way. This is technique I use always when I can change code of final method. throw new UnsupportedOperationException("Fail if not mocked! [easier="